Gramercy Park Hotel is one of the most luxurious hotel in New York City. 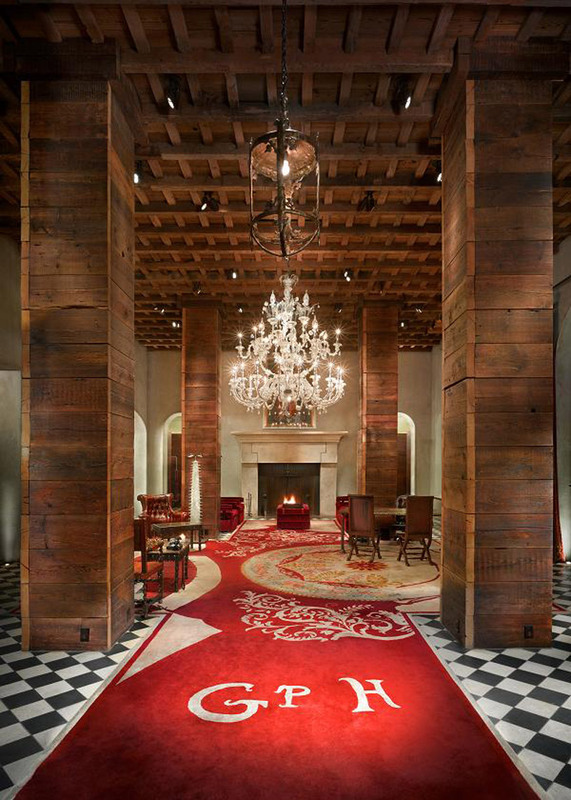 Beyond that, its interiors, conceived by Ian Schrager as another success story of his hotelier empire. A luxury hotel that takes interior design to the next level. Located in New York City, overlooking the last private park in Manhattan, Gramercy Park. Designed to incur the feeling of being inside an artist’s studio, the Gramercy Park is unique in it’s concept. Using eccentric colors and powerful combinations of rich fabrics and textiles, artist Julian Schnabel has created something of a luxurious fairytale hotel. Made up of 185 guest rooms, two bars, a restaurant and spa, the Gramercy has managed to retain the intimacy which has its trademark before the renovation, without loosing style and becoming too claustrophobic. Throughout the public areas of the hotel, residents and visitors can view the wonderful artwork paints such as Andy Warhol, Hirst and Basquiat. In fact this will be a changing list of curators, guarenteeing a constant rotation of what’s on display, offering people a different experience each time they visit the hotel lobby and public areas. Never merely a place to rest one’s head or to fade into the familiar, the Gramercy Park Hotel is a masterpiece of eccentricity and individualism – a place where magical, inspiring things happen.